Hello everyone, Today we are going to share a 80+ free social media icons . I have been showing up social media icons of numerous types that can be used for personal and commercial projects. These icons can be just only for dark background of blog or a website, there is this restriction over here, but the result will be outstanding and worth commending. Social Media Icons are very important to place on your own website to show the social signals these icon sets are specially to reach your social network audience while we use social media icons on our site to keep in touch with the social community. These cute shaded social icons will look good on dark and light themed websites equally. So here is the list of 80+ free social media icons of take a look. I have been working on my new theme, MyResume, and was in need of some social media icons. So I decided to make a set and release it for free for anyone who would like to use them. These icons have no restrictions, so feel free to use them however you like. Redistribute, resell, or repackage them – I don’t mind. But if you appreciate the free resource please link back to this post! The package includes 42 64×64 icons in both PNG and PSD form. The word “cute” sounds adorable and lovely. It hints at something which appears to be eye catchy and attention grabbing. So today I decided to design cute social media icons for you absolutely free. These social media icons can be used in ladylike, feminine and girly blogs/ websites. Free Creative Blot Icons Set. Includes 20 most popular social media icons on the web. This pack contains 20 most popular format and sizes for web icons. Use them free in your projects, commercial and non-commercial. Round Ribbon Icons Set. Includes 20 most popular social media icons designed in ribbon style. This pack contains 20 different icons in popular format and sizes for your projects. Use them free in commercial and non-commercial projects. Pen Sketch Icons Set. Useful for art portfolio or same creative project. Includes 20 most popular social media icons designed in creative pen sketch style. All colours is a original colours from a social networks. Grey Social Media Icons with rounded corners. Includes 20 most popular social media icons on the web. This pack contains 20 icons in popular format and sizes for web icons. Use them free in your projects, commercial and non-commercial. Christmas Toys Social Media Icons Set designed specially for New Year holidays. Includes 20 most popular social media icons on the web. This pack contains 20 icons in popular format and sizes for web icons. 3D Cube Icons Set easy to use with all web design. Includes 20 most popular social media icons on the web. This pack contains 20 most popular format and sizes for web icons. Use them free in your projects, commercial and non-commercial. Neon Social Icons Set easy to use with all web design. Includes 20 most popular social media icons on the web. This pack contains 20 most popular format and sizes for web icons. Use them free in your projects, commercial and non-commercial. Wonderful original Stamp icons set for your use in your projects. Includes 20 most popular social media icons on the web. This pack contains 20 most popular format and sizes for web icons. Use them free in your projects, commercial and non-commercial. FREE HD social icons for android apps or pc. Use it for personal needs. Feel free to modify. 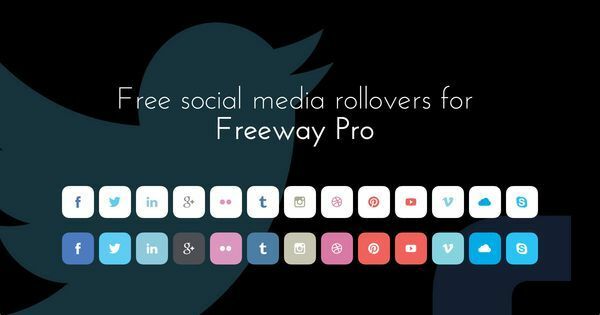 This freebie includes 74 thin social media icons pre-saved in different styles, colors and strokes. Illustrator ai, eps and transparent png files included. Available in 2 styles including rounded and rectangular icons. This freebie includes 72 social media vector icons pre-saved in 9 styles! Rounded, polygon, rounded corners, waterdrop, leaf, rectangular, flower, grey and glossy style sets (total: 648 icons). Created with Adobe Illustrator and saved in Ai, Eps, Svg, and transparent PNG file format. Editable files for full control over the colors and size. The icons come in various different versions including two different sizes and are set to look super-sharp on Retina displays! I’ve included the most common icons from this awesome selection by softpress. Friends, here’s a set of 20 simple and clean flat social media icons for your social sharing needs. The icons are created in 114×114 sizes with the main focus for iPhone 5, but these can easily be resized and used for other mobile devices or for web. All 160 simple line icons are now embedded in a webfont for more convenient use on the web or in a native application. Big thanks to Jamal Jama for creating this awesome webfont. 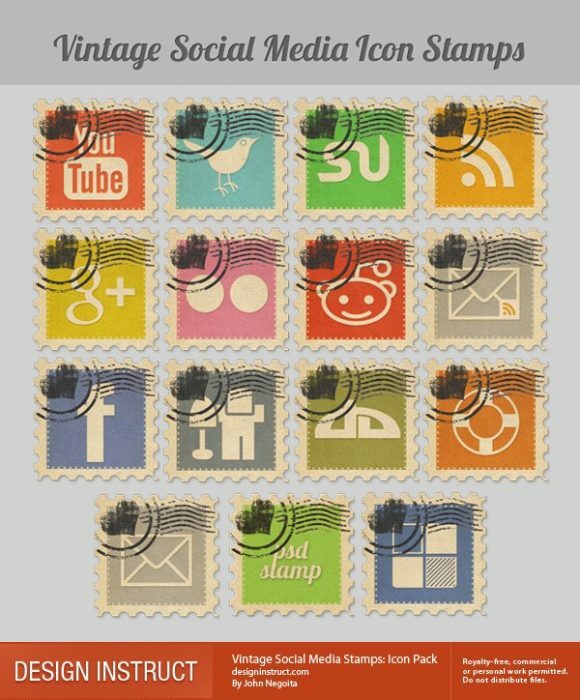 The Free Creative Coins Style Social Medial Icons Set. Includes 50 most popular social media icons on the web. This pack contains most popular format and sizes for web buttons. Use them free in your projects, commercial and non-commercial. The Creative Social Medial Icons Book Style includes 50 most popular social media icons on the web. This pack contains most popular format and sizes for web buttons. Use them free in your projects, commercial and non-commercial. Today’s freebie is a pack of rounded social media icons with normal and hover states. The package includes 32px of .PNG files. Social media icons are the very asset of a blog or website. They are the attention stealer elements which are intact to give a boost to your website’s impression and outlook. Social media icons are one of the essentials and nitty-gritties when it comes to talk about website or theme. They can be placed anywhere on your site either on header, footer or on the side bar. This free resource contains 12 black, sleek and stylish social media icons. This icon set includes 20 stained social media icons for use in your grungy site designs. Oh, and this set is FREE! Happy Friday! This icon set includes 20 more stained social media icons for use in your grungy site designs. This time with more Google love! This free social media icon pack includes 25 sleek, modern and very usable social media/networking icons that can be used and downloaded (free of charge) in your work. This free icon set, by PSDDude, consists of 14 icons for major social media networks, as well as common content-sharing icons like an RSS feed icon and an email icon. We’re glad to release SocialMate, a free, exclusive set of 28 social media icons for your website and design projects. These icons come in 2 variations for use on dark and light backgrounds. Friends, here’s a set of 24 social media icons on wood texture. The icons come in fully-editable PSD and PNG formats with the PNG files in two versions of shadow and non-shadow icons. Social Sketches is a free icon set containing several icons of popular social networks exclusively released here on Six Revisions. This free set of social media icons has 20 icons of popular social media sites such as Twitter, Facebook, and StumbleUpon. Each icon has dimensions of 48x48px and is in PNG format. It’s perfect for blogs and content-centric websites (it also includes an RSS feed icon). Two sets are better than one! Non esistono parole migliori per descrivere, sommariamente, il contenuto dell’articolo di oggi. Non uno, ma due set di Social Media Icons in un unico file zip. Perfette per siti dal design vintage o grunge! Spero le apprezziate, ciao e alla prossima! These social media icons made by myself will make a brilliant addition to your website and/or portfolio, they are based around the idea of being vintage, worn, and hand fabricated. I personally think that they turned out brilliantly, and accompany some stunning textures. 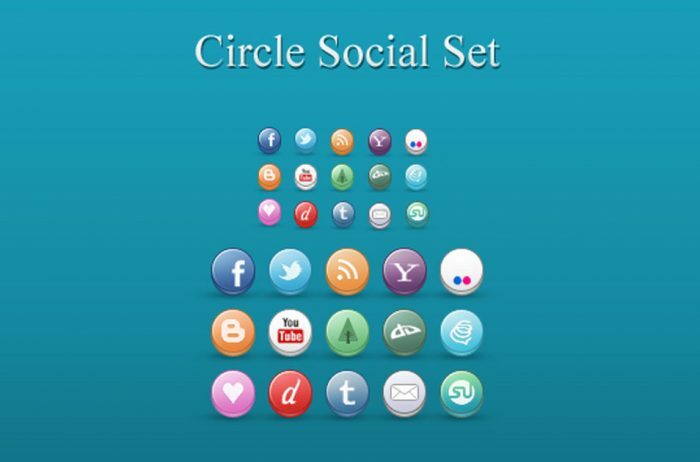 This week’s freebie is a set of elegant, round social media icons. The simplicity of these icons is what makes them suitable for almost any web design project.